Books make the best gifts -- a thoughtfully selected book will hold a child's interest long after the new toys have been tossed aside, and books are also very budget-friendly. This holiday season, National Geographic Kids Books is featuring SIX new titles that are perfect for gift giving. They are big, bold and beautiful hardcovers; cater to book enthusiasts and reluctant readers alike; and are fun, inspiring AND educational (but don't tell your kids that last part!). 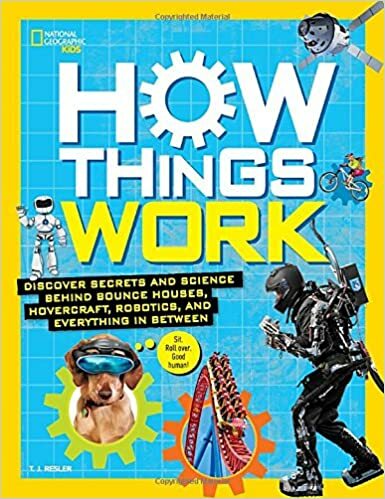 Discover the secrets and science behind bounce houses, hovercraft, robotics and everything in between in this book that provides both the quick answers AND complete explanations for all things high tech, low tech and no tech (how DOES glue work???). Detailed diagrams, revealing photos, hands-on activities and and fascinating facts all help to demystify many common items -- like how a microwave works, how an eraser makes pencil marks disappear and how an iPad or tablet can do so much -- and also delves into the more futuristic -- but very real -- inventions like bionics, invisible cloaks and tractor beams. "Tales from the Lab" and profiles of talented engineers, inventors and scientists provide plenty of inspiration. How Things Work is perfect for the kid who thinks "just because" isn't a REAL answer. Several spreads from How Things Work can be found by clicking here. Perfect for the ocean-obsessed, this book is the most complete ocean reference ever! 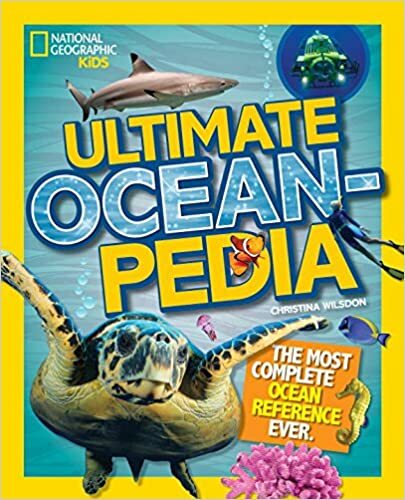 Ultimate Oceanpedia is overflowing with amazing facts, photos, art and diagrams that take the reader on a journey through the ocean. Whales, dolphins, porpoises, turtles, sharks, fish, crustaceans, sponges -- from the weird to the wonderful -- they are all featured in breathtaking photographs with easy to read captions. Wild weather, underwater exploration and tips and pointers on how to help keep our oceans thriving round out this thick, keepsake volume. Do you have a child who loves magical stories about far away places? 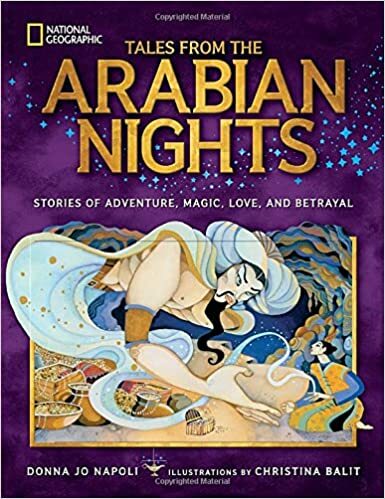 Classic stories and dazzling illustrations of princesses, kings, sailors and genies come to life in a stunning retelling of the Arabian folk tales from One Thousand and One Nights and other collections, including those of Alladin, Sinbad the Sailor, and Ali Baba and the Forty Thieves. In this beautiful, gift-worthy book, beloved author Donna Jo Napoli not only brings timeless tales of royalty, adventure and love to life but also includes sidebars that connect the stories to history, culture and geography. A perfect story time selection for bedtime or anytime. All kids are heroes in waiting and these two titles are sure to inspire. In The Book of Heroines it's all about Girl Power! Looking for a leading lady? How about more than 100 of them? True stories of superstars, war heroes, world leaders, ladies in lab coats ad everyday people who all have two things in common -- they were girls and they changed the world. From Michelle Obama, Jane Goodall and Wonder Woman to Susan B. Anthony, Gloria Steinem and Katie Ledecky, The Book of Heroines not only highlights how girls are just as tough as boys, but also challenges the reader to be a heroine herself and provides tips on how to unleash her inner heroine. Sample pages of Heroines can be found here. The Book of Heroes highlights 100 guys who had the boldness, bravery and brains to meet the challenges of their day. Featuring a very diverse array of amazing minds, heroes from history, sports stars and even action heroes -- like Abraham Lincoln, Mark Zuckerberg, Stephen Hawking and Steve Irwin -- boys will be sure to find more than just a few role models in the pages of this book and also perhaps inspire them that they, too, are capable of extraordinary things. Did you know that one-third of the earth is a desert, that beets are sometimes used to give red velvet cake its color or that there are more caribou than people in Alaska? 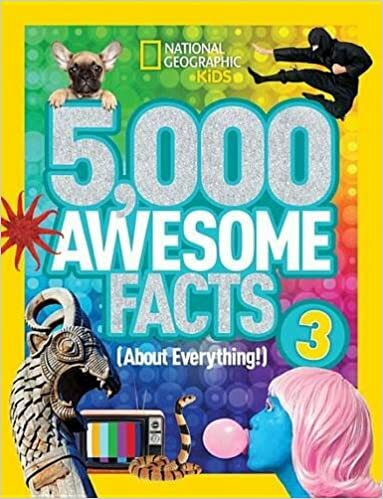 Well, that's only the beginning......5,000 Awesome Facts (About Everything!) 3 features gross facts about toilets and edible insects, gravity defying facts about things that fly, awesome new dino-discoveries and even facts about newborn octopi and how many oranges it takes to make one glass of o.j. -- to name just a few! This book is the ultimate boredom buster and is perfect for curious kids who love to learn about the weird, wild and wacky! On behalf of National Geographic Kids Books I'm so pleased to offer your site a Holiday Gift Pack Giveaway of the six books listed above (ARV $120.00). US only please and we'd be pleased to ship the gift pack directly to your winner. National Geographic Kids Books is generously offering (1) Holiday Gift Pack Giveaway of the six books listed above (ARV $120.00) to a lucky winner!